If you didn’t know, Pinterest has over 100 million active users. Making it one of the most visited sites on the Internet. So if your addiction treatment center is not using Pinterest yet, you should be! How can you use this platform to generate addiciton treatment leads? Pinterest also allows marketers to advertise on Pinterest. Because Pinterest is a relatively new advertising platform, the competition levels addiction treatment is still pretty low. This presents a huge opportunity for your treatment center marketing. In this post, we’re going to demonstrate how to take advantage of Pinterest to drive in new drug rehab addiction leads. You’ll discover tactics you can use to make sure you get your marketing efforts seen by the right Pinterest users. Also, we will help you discover which ads bring you more revenue, by analyzing conversion ratios. By the time you finish this article, you’ll know more than most “gurus’ about promoting your addiction treatment center on Pinterest, taking your drug rehab marketing to a whole new level. Let’s take a peek at how Pinterest works. If Pinterest is new to you, you may be confused on how to use Pinterest for treatment center marketing. This social platform is a bookmarking website – Social bookmarking is a great way for people to organize, store, search, and manage “bookmarks” of online pages. People save links to web pages that they what to share or like, using a social bookmarking site to store these pages/links. Then they can use this platform to share the bookmarks they have made, or use them as a way to store things they like to come back and check out later. Pinterest users can use the search bar located on the top of the page to see what other users are Pinning or bookmarking. Because of the nature of Pinterest, 96% use this platform to do their research on products and services they plan on buying or using. This is another reason to use Pinterest for addiction treatment marketing, to generate drug rehab leads. In addition to that, 87% of users had reported that Pinterest also helped them to decide what to buy – This means used the information they found on Pinterest to make a buying decision. So what kind of Pinterest users do searches for addiction treatment? Before we continue, let’s see who you can benefit from seeing your rehab center ads. Pinterest is composed of a pretty large group, but If you look at the statistics, you’ll discover that most of Pinterest users are female. Most data support that roughly 80% of the databases are female. The same data supports that mostly the female users of Pinterest interact with the platforms content. 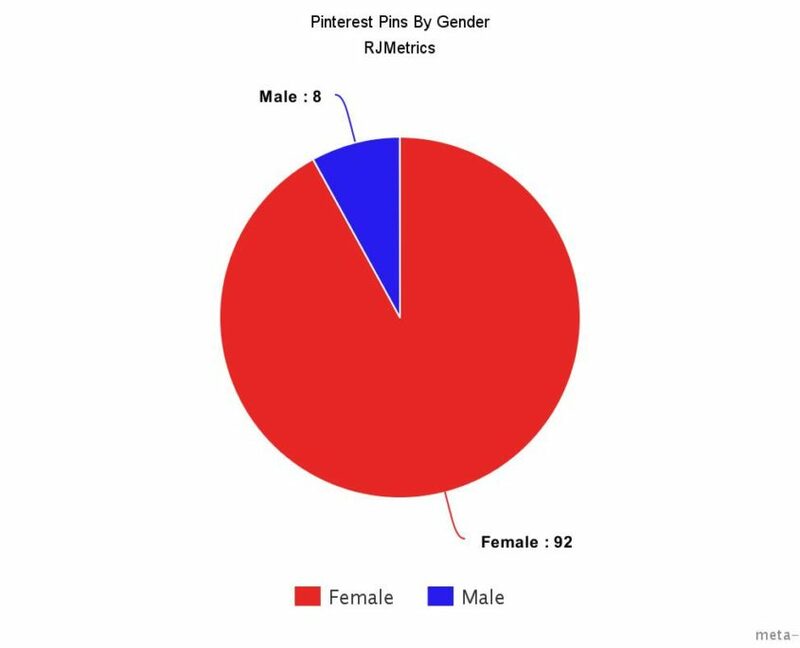 The chart below shows how 92% of the Pins were posted by females. After doing their own research Hello Society, found similar data. They found males at 21%, while females at 79%. Hello Society also learned the age of the average users on this platform. These numbers are worth looking at for rehab marketing ideas on Pinterest. As you can see which age groups would be best to target for addiction treatment. Some ads could target the addict themselves, while others would target the mothers of drug addicts. This gives you a more targeted audience when compared to using Facebook to generate addiction treatment leads ,or Google AdWords for treatment marketing. This makes Pinterest a great marketing platform for rehab leads, because of the targeting options that the platform offers its users. This will ensure that your promoting your ads in front of right people for addiction treatment. Just like with all paid traffic platforms, it is imperative that you know exactly who your audience is ahead of time. You will waste time and money, if you do not know who your targeted audience is. When your addiction treatment center knows exactly who to advertise to, your business can use the right images, and which to add more of to your Pinterest profile, and addiction recovery Boards. You will also have a better understanding what type of message to place in the description. The best way to understand who your audience is to use use Buyer Personas to figure it out. This will help you to know what questions most of your customers will want “answered”. 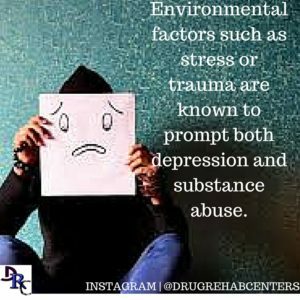 Questions about addiction treatment for drugs or alcohol that your potential customers face, what their fears are, and how your treatment center can help them, or a loved one. You should already be using a Facebook Fan Page for addiction recovery. If you have gathered up a good number of followers, you can use the Audience Insights tool to find out the demographics your treatment center currently appeals to. Your twitter account should also be an active part of your overal social media media stratigy. If you need more information about how to use twitter to generate leads for addiction treatment, click the link and read the complete guide. Then use that information for your Pinterest addiction recovery account. If your Pinterest Board is already getting some traffic, you can use Pinterest’s Analytics to discover who your audience is. In order to utilize this feature head over to business.pinterest.com. Then click the link that says ‘Convert now’ this will convert your Pinterest account to a business account. Pinterest analytics will display how people are ‘Pinning’ items from your blog or website. Like we discussed earlier in this post, this information will also help you know exactly which audience to target. In order to get this information, you have to click the section where is says “track that works”. This will give you a code that you install on your site. If you’re not great at adding code into your site, you can always find someone who understands how and where this code should go. Try to find a company that if familiar with addiction treatment marketing, this way if you have any other questions or have more rehab marketing ideas for Pinterest they may be able to assist. Hiring someone just for the code should be pretty cheap – don’t get robbed for a simple task like this. Once this is done, Pinterest will start to collect the data based on how users are ‘Pinning,’ the items from your website. Because addiction treatment centers have plenty of images about recovery, you should add a ‘Pin It’ button on your site, if you haven’t; already. As you probably already know, social media marketing for addiction treatment gets better results when you experience higher levels of engagement. To view how your work is going go to – http://analytics.pinterest.com/. When you look into you Pinterest profile and you audience area, you will get an overview on what type of traffic you are receiving from this platform. Because you have confirmed your site earlier you will also be able to view the activity from your website. This provides similar data, but this information comes from the website. To view “Top Pin Impressions” go to the bottom section, this will show you how users are engaging with your content. This type of data can be extremely useful when it comes time to promote some of company’s addiction treatment Pins. Information in the ‘Your Audience,’ tab will provide you in-depth analytics about who exactly is interacting with your recovery treatment content. You can utilize this data when you start creating your addiction treatment ads, further ensuring that they’re seen by the right type of viewer. Using the ‘interests’ section can also be implemented to help your targeting when creating recovery ads. This section will assist you in discovering what your audience “likes” and what kinds of businesses your audience also engages with. If you didn’t know already, Pinterest is full of images. Because of this, if you want to your addiction treatment to go well on Pinterest, you need to make sure you’re using quality engaging images. First, focus on using only high quality images. The type of recovery images you use, will depend on which audience you will be targeting. For example, images that raise awareness to alcohol or drug statistics might be different, from those created to drive engagement. Take a look at the two addiction related images below. The first one is designed to increase awareness and the second one is designed to drive engagement. The Images created to raise awareness about addiction need to be relatively simple. 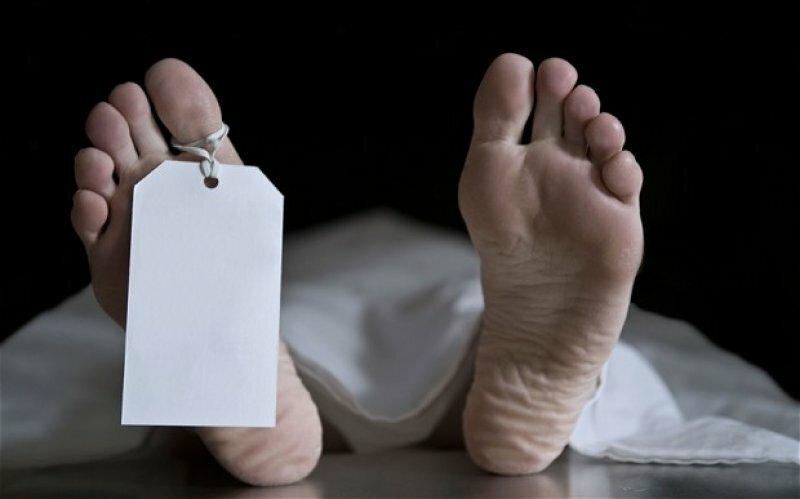 The second image is a an obvious “over the top” – call to action – but you can test images like this one along others that are not so “in your face” call to action. Because this is a serious subject these images need to be professional, and need to offer the viewer valuable information. You don’t need to spend money on a professional graphic designer, but be sure the images are clean and look impressive. The images can be a little shocking, but not too much that it deters users from pinning. A great image to use for addiction treatment marketing is an infographic. 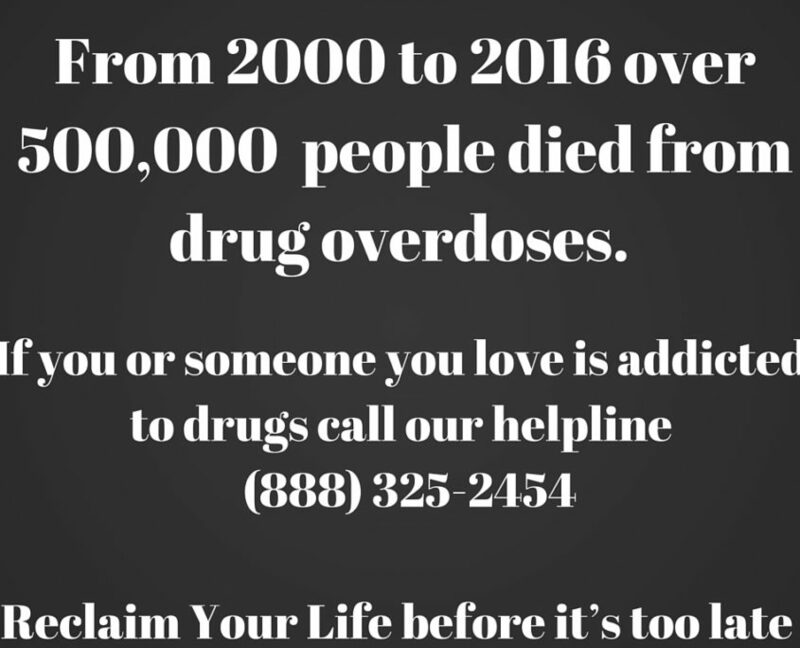 Because we are trying to improve engagement, infographics can illustrate many useful addiction information. Users that click on these types of Pins are generally looking for more information about addiction recovery and treatment options. That’s just one way to make your images more detailed. You can also offer different variations of treatment options in an image. Maybe you offer multiple types of treatments that you can display. Pinterest users are such a diverse group, showing only 12 step recovery options may not touch a nerve with someone who have just relapsed from a 12 step program. 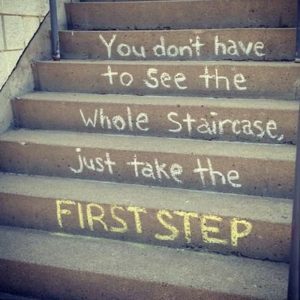 Or maybe showing why your 12 step and treatment is different than other centers is the key. The point is, try different things in order to reach everyone. In addition, by displaying a particular program or treatment option broadens the Pin, and engagement is likely to be higher. When using this approach, don’t overdo your pictures. If you want to get an idea of what kind of pictures will work better than others, consider looking at some of the competitor boards in addiction treatment. Take a good look to see why their images are doing well, and how you can use that knowledge to apply it to your images. Once you have found images that you believe will appeal to your audience, you need to get the most out of each image because “Pins” represent ideas. Here’s an example of how that can be done. You can use a ‘Call to Action’ within your recovery images. Be sure to keep in mind the users you’re dealing with. Don’t get crazy with too much text on your images, many users are on their mobile phones, and too much text may make it difficult for users to read, (or they won’t take the time to read all of it). 75% of Pinterest users come from mobile, so your images should look good on mobile devices. If they do not, you are throwing 75% of potential clients into the trash. Because of the way Pinterest users interact, larger vertical pictures will receive more attention and possible engagement. Take the time to find some images that will work with a large vertical. Here’s some good advice, provided directly from Pinterest, about the correct shape and size of your Pins should be for you addiction treatment center. Creating exceptional looking Pins can be a challenging, this especially goes if you’re not that great photo editing. Canva is an amazing free tool that can help you customize your images, and insert text. This is great tool to use for your Pinterest images. Just create an account at Canva and click on the Pinterest Graphic, and you can create the right size image. Once you finish, just download the image and boom, you have your image. Alright, now that you have the right tools to create great images for your Pinterest addiction marketing campaign. Now it’s time to begin testing. You can do all the research in the world, but without testing your own stuff to see how it converts, you won’t really know. Now let’s discuss what your Pins descriptions should look like. The description for your recovery treatment Pins. As we discussed earlier, Pinterest is all about images, but there is also some content below many of them. The description you use about your addiction treatment Pins are also going to allow for your Pins to be found easily, use keywords related to recovery like, addiction treatment options, therapy for alcoholics, detox for heroin. Anyway, you get the point, the more you can describe your Pin, the more likely it will be viewed by your desired user. If you can write well, or if you have someone on your staff who writes about addiction recovery news, or updates about your treatment center, you will be able to use that skill for your Pinterest treatment center marketing. Here are some ideas on how to create engaging text. Your text for each Pin will have to match the image for each post. 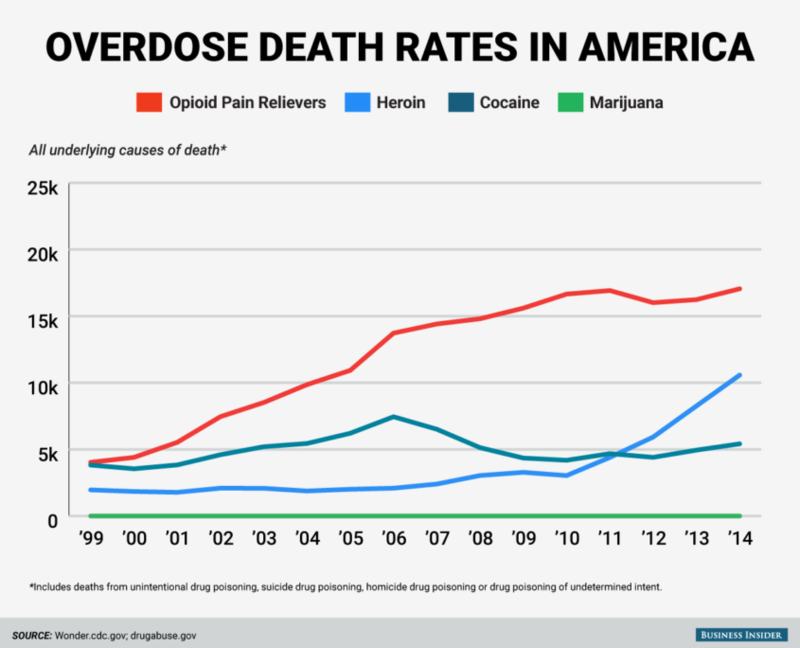 If the image is designed to raise heroin overdose awareness, the text is going to read differently from text that is designed to generate drug rehab leads from Pinterest. The point is, that awareness images tend to explain things and are used to set up what recovery options that may be available. The description is designed to explain how image can affect someone, or someone they love, and it does all of this by setting the scene. If the purpose of your Pin is to drive clicks, your description should focus more on treatment options and why they should click, or call to speak to an adviser now. Over time you will discover that the best descriptions address a few things. Why the Pin helps the user, and what steps need to be taken next. Be sure that your center is able to respond to any users that may disagree with you Pin’s Image or description. For example, someone dislikes the 12 step program, you should be able to defend it by having alternative programs, or by simply saying the 12 step isn’t for everyone. If you are promoting a particular type of treatment like sand-tray therapy for example, you might want to say that although many treatment facilities don’t utilize this type of treatment, our patients have encountered great personal breakthroughs. When writing your description text, make sure that you’re being as concise as possible. If someone has taken the time to read it, make sure your treatment center makes the most out of it. Consider how your writing staff uses data and keywords for your search engine optimization for addiction treatment leads. Use similar tactics in your decription for your pins. Rich Pins for treatment center marketing can be used on Pinterest in order to achieve higher Repins and clicks. There are some stats out there that shows that Rich Pin integration can raise repin to Pin ratio over 80%. Rich Pins when you the right way can take your drug addiction marketing on Pinterest to the next level. If you really want to make the most from using Rich Pins, you will need your web developer to do some coding on your website. This is something you can do without hiring someone because it just requires a bit of adjusting of the metadata, so Pinterest can access the data. Once the code is completed on your website, you will need to ‘Validate’ your Rich Pins. It is an easy process that you can do here https://developers.pinterest.com/tools/url-debugger/. If this becomes a little too technical, you may want to get help from a web developer. By using ‘Article Pins’ you can simply display the headline, description, and author of the article. 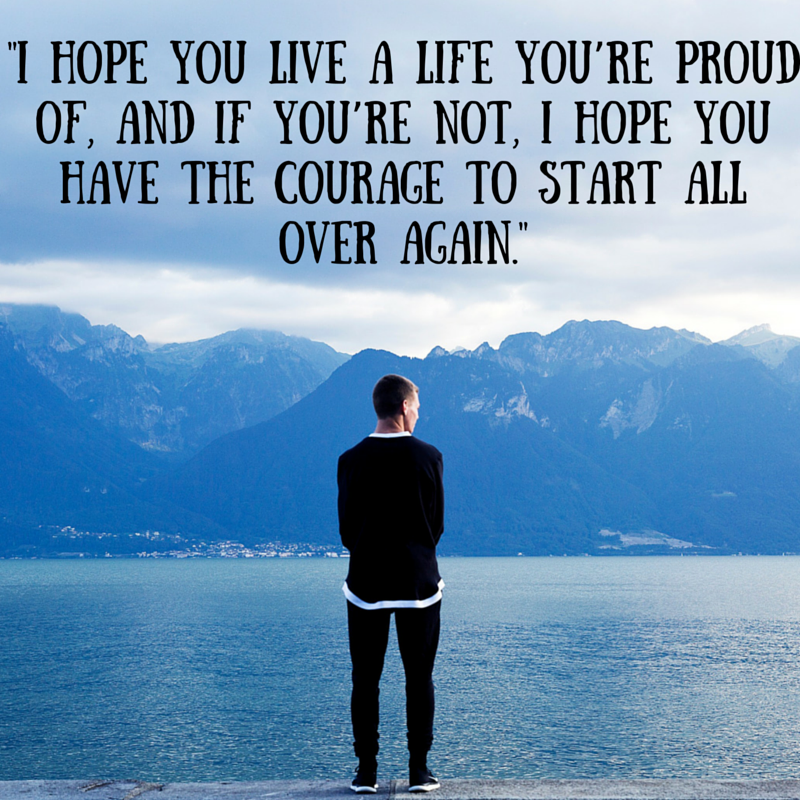 Addiction Pins usually display inspirational recovery quotes, treatment options, pictures of the facilities, and images of people in recovery. An example can be found below. Showing a price for a particular treatment may be worth testing, maybe you offer a 7-day detox cash price, or maybe you offer an executive rehab detox. It may be worth testing; you don’t know until you try. Place Pins will let you identify where the location within the pin lies, and display some contact information. App Pins let you install apps directly from Pinterest. By using Rich Pins your addiction center can provide a much ‘richer’ experience for Pinterest users. By combining Promoted Pins, conversions are generally higher, because they will be viewed by users targeted by the data you have collected. Rich Pin descriptions are a” pre-sell” to those who eventually click on your addiction recovery Pins. Creating your addiction treatment center Promoted Pins. This is how you start the process of Promoted Pins for addiction treatment. So there’s tons of opportunity – provided you do everything correctly from the start. To begin creating a Promoted Pin, go to https://ads.pinterest.com. And login to get started. You should already have a business account, you would have set that up if you have been following along the post from the beginning. You can choose from 2 different campaigns. One way is to “Boost engagement” with your Pins, with this option you pay when users engage with your Pin. An Engagement constitutes as a Repin, Closeup or a click. If you pick the ‘Get traffic to your website’ option, you’ll pay for the clicks to your site. Depending which option, you choose will depend on what you are trying to achieve. If you’re just looking to raise awareness, then the first option might be best. If you’re directly looking to drive sales, the ‘Traffic’ option might be best. Whichever avenue you decide to use, select the Pin that you want to promote. When choosing a particular Pin to promote, you can decide on your most Pinned over the past 30 days or the most Repinned of the 30 days. If you decided on an engagement campaign, the most Repinned may be best option, because Repinned Pins are basically the Pins that have been shared. Because you know what is getting shared, you should be able to capitalize the impact of raising addiction awareness when you’re spending some cash on it. If you choose to use a traffic campaign, then the most clicked option is probably the better choice. This is because you have some data that supports that users are going to click on the pin and then go directly to your website. You will have to change the targeting settings of your recovery campaign. ‘Terms’ are the keywords that are related to addiction, addiction recovery, drug rehabs, etc. Be sure to use around 20-30 terms to maximize coverage, this is recommended by Pinterest. You can then select the Location, Language, Device and Genders. Because your treatment center is going to be in the U.S., target on English speaking, and America of course. The costs may be a bit higher, but it does you no good to click cheap clicks from Pakistan. The ‘Genders’ you choose depends on what type of campaign you plan to run. Keep Devices, open in the beginning, and then you can experiment later when your campaign is going well. Your addiction treatment center must then choose a budget. How much you choose to spend should be a part of your overall Social Media Budget. For more information about a complete service to social media marketing for addiction treatment centers click on the link and ask about how to generate your own referals from social media. You will be able to see that Pinterest provides you with an estimated bid, based on what other advertisers in the addiction treatment space are currently spending. Your best bet is to use the suggested bid and not trying to undercutting it. If you bid too low, you may not receive many clicks. It may have been a good campaign, but because you didn’t pay the right amount, your ad performs poorly. We have already discussed how you can write an effective “Pin description “earlier in the post. The ‘Destination URL for Promoted Pin’ the website that you want users to go to. If you’re Ad is rejected, it could for the following reasons. Now that your Pin is promoted, you will be able to check some data about how the campaign is performing. Utilize ‘Conversion Tracking’ to view ‘which’ Pins are delivering ‘what’ type results. Getting this set up can be tough for some, you can get your developer on this is you are having difficulty. Although this feature is tricky to set up, it is worth doing because of the information it will be able to provide you. The ‘timeframes’ option will allow you to select a window in which you can view your results. This feature can be helpful if you what to see how well your campaign is doing quickly. This will show you how the campaign is going and how well it may continue to perform. To get a good rehab marketing ideas on Pinterest, you should run multiple campaigns, it is rare to promote one Pin, and hit a home run. By promoting multiple Pins this will increase the chances of a successful promotion because you can see how each ad is performing against each other. When promoting multiple addiction recovery Pins, track each one, and view how it is doing, so that you can pause, or stop running campaigns that are costing you money, and not bringing in drug rehab leads. Use your ad manager to check your promotions as they are running. Here you can see exactly how each of your addiction treatment Pins are doing. If you have recovery Pins that are performing well, you should boost the budget a bit, and also check to see that they’re available on all devices. One feature ‘Buyable Pins.’ Is more for retail, or directly selling a product. Knack Media provides a full range of services to cover any and all of your company’s needs in Web Design, SEO, Video Editing, and Social Media - but there is certainly more. For a full breakdown of our services, give us a call today. We know that we can help you with any of your marketing needs. © Copyright - Knack Media 2015. All Rights Reserved.